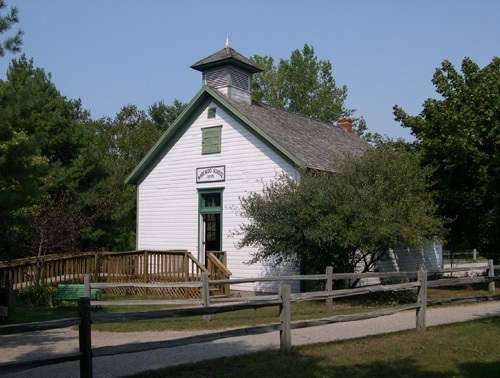 Marchido School was a Mason County rural school, built about 1895 and moved to its present location in 1973. 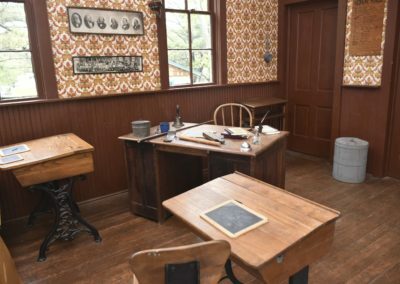 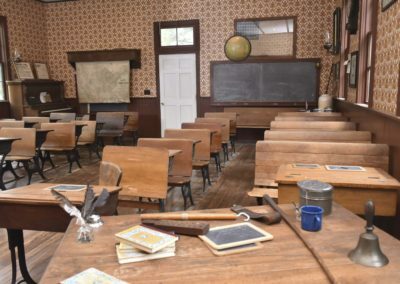 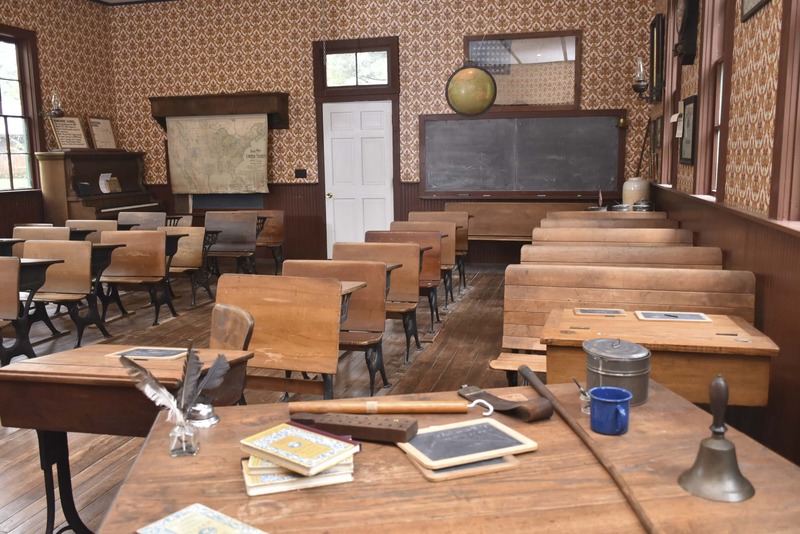 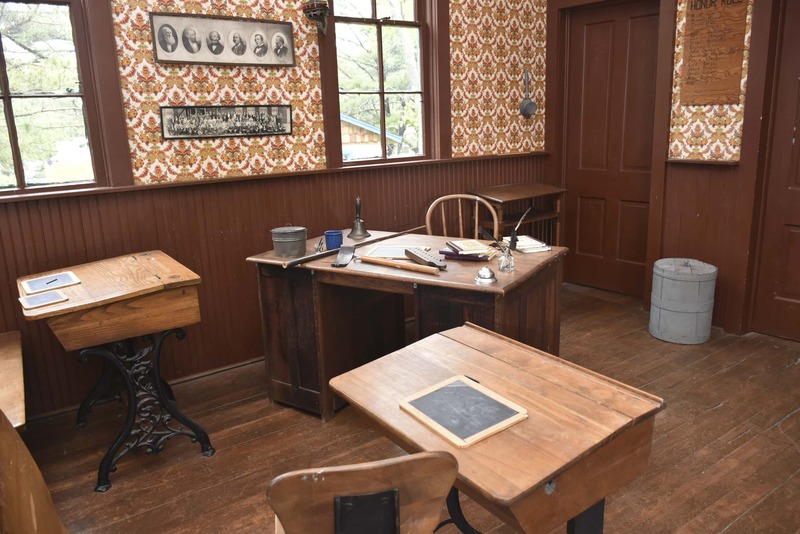 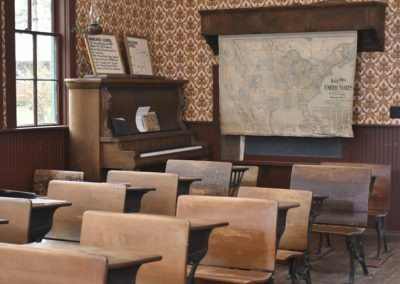 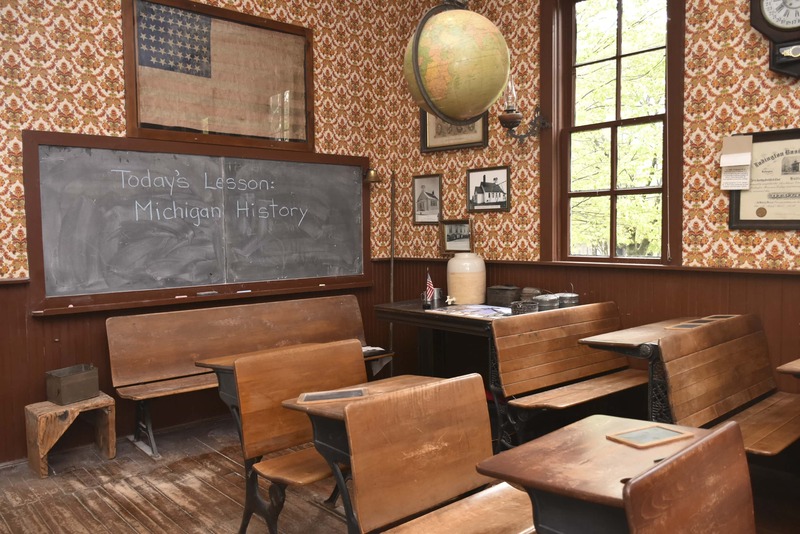 The kerosene lamps, wood stove and graduated desk sizes are all examples of the typical country school. 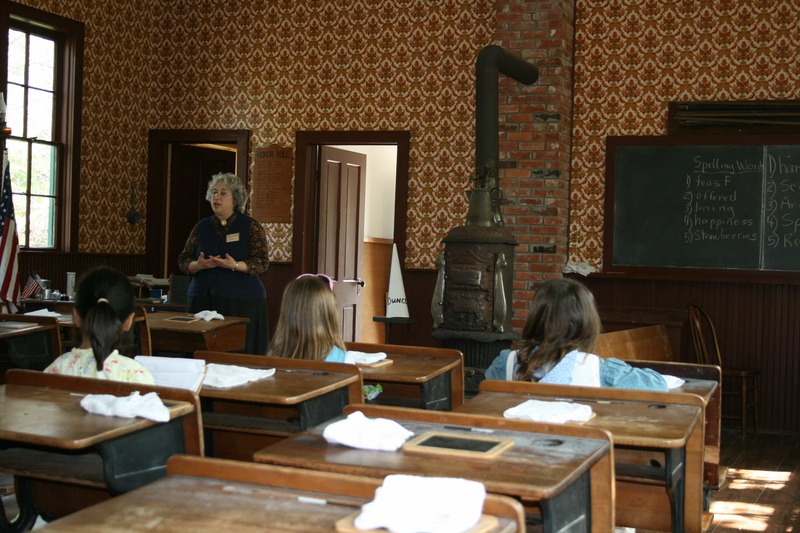 The teacher used the recitation bench as she worked with each different class grouping. 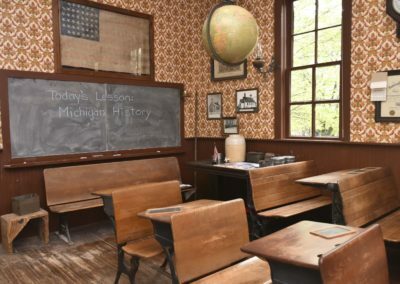 The Retired Teachers of Mason County devoted many hours of donated time preparing Marchido School as an exhibit representing all schools from the late 1800’s. Many of these teachers taught in the rural school system.